Balakot air strikes proof: 263 terrorists were tracked at the Balakot Jaish-e-Mohamed camp five days before the Indian Air Force carried out the pre-dawn air strikes on February 26. New Delhi: Amid the ongoing war of words in India over the number of terrorists killed in Balakot air strikes carried out by the Indian Air Force on the biggest terror training camp of Jaish-e-Mohammed in Pakistan, Times Now has learned that a total of 263 terrorists had assembled at the facility days before the unprecedented action by the IAF. The presence of 263 terrorists was confirmed at the Balakot JeM camp five days before the IAF carried out the pre-dawn air strikes on February 26, days after the February 14 Pulwama terror attack in Jammu and Kashmir in which 40 personnel of the Central Reserve Police Force were killed. Times Now has learned that 18 senior commanders of the JeM were present at the Balakot facility to train the terror recruits. While 83 terrorists had assembled for Daura-e-Aam — the beginners’ training course, 91 terrorists had assembled for Daura-e-Khas — advanced training. A total of 25 were selected for special training as fidayeens. Further, 30 had assembled for Daura-e-Mautulah and some 18 to 20 were working staff, including cooks and barbers. Some of the teachers and trainers present and identified included Mufti Umar, Maulana Javed, Maulana Aslam, Maulana Ajmal, Maulana Zubair, Maulana Abdul Gafur Kashmiri, Maulana Qudratullah, Maulana Qasim and Maulana Junaid. A total of four missiles were dropped at the Balakot JeM camp by Indian Air Force Mirage-2000 fighter jets. Times Now is putting out the proof when doubts have been expressed over the effectiveness of the IAF air strikes in Balakot. 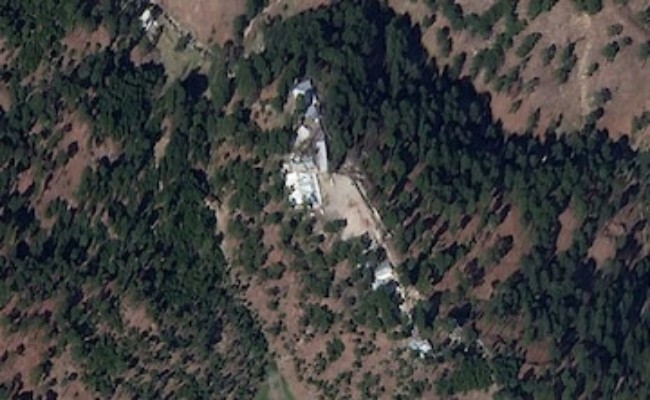 Just days ago, satellite images published in the international media had claimed that the JeM camp had not been hit by Indian jets. Then also, Times Now had shown satellite images to counter and debunk those claims and clearly establish that buildings at the JeM camp were hits by missiles launched by Mirage-2000 jets. As per details available, the presence of 263 terrorists at the JeM camp was established by Indian intelligence agencies. The top leadership of the JeM had assembled at the Balakot facility in the run-up to several terror training courses that were due to start on February 25.